Created with Windows Search like feature that helps to easily find your eml files. Keyword search within the eml message is now possible with the eml viewer. The eml viewer gives you the ability to view all emails attachments within the software itself. The email viewer gives you the ability to view each and every emails without missing any details. Got an email with attachment, no worry as the software will show you attachment of every type instantly. Two view modes ensure that you view all your emails with comfort and ease. Locating your emails(.eml) was never so easy as the software gives you your favorite windows style search. Once you provide the folder location the software will auto load all the eml files that exist within it. This features works great if you have tons of eml messages that you want in index format. 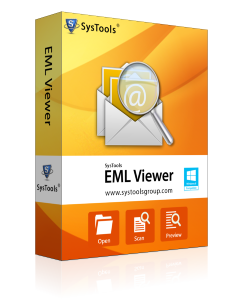 The free eml viewer comes with host of features that let you to easily browse all the emails within the eml folder which in effect gives you the freedom to easily access all your emails in one go without having to look eml file one by one. Completely free at no cost and can be downloaded on multiple work station without any license fee. Works on all major Windows Operating system so you can have eml viewer for Windows 7, 8 or 8.1 without any issue. Set viewing preference within the application to suit your needs. From WINDOWS XP, vista, to 7 and all the way to 8.1 you will be having no trouble using the software. EML file genrally follows RFC 822 standards and usually is consist of plaintext with attachment in pdf, image or Windows document such as Excel or Doc file. What is the difference between DEMO & FULL? Its free version allows you to preview EML emails and attachments that are embedded in emails. But to grab the facility of Advanced Search feature you can purchase its full version. What Is The Location of EML Files in Windows Live Mail and Windows Mail? C:\Users\Any Name\AppData\Local\Microsoft\Windows Mail\Local Folders– This is the location of EML files when the user is using Windows Mail. C:\Users\hp\AppData\Local\Microsoft\Windows Live Mail–This is the location of EML files when the user is using Windows Live Mail. Does this software compatible with Windows 8? Yes, you can install and run this software on Windows 8 machine, as Windows 8.1 and below all versions are supported by EML Viewer. Is it possible with this software to view EML file of any size? This software does not impose any size limitation on EML file, so you are free to view EML file of any size. I was looking for a tool through which I could transfer email of Windows Live mail into PST format, and then one of friend suggested me about EML viewer tool which came out to be best tool for migrating EML files. I recommend this tool as the best tool for viewing EML files. Through this tool I was able to convert EML files from different email client to Outlook 2007 without hampering any information from the files." © 2007-2015 Eml Viewer Software All Rights Reserved.